Sherlock Holmes is a character that didn't receive a lot of adaptations in the Video Game industry. One of the few exceptions to that case is Frogsware’s The Adventures of Sherlock Holmes series which currently spans eight entries. 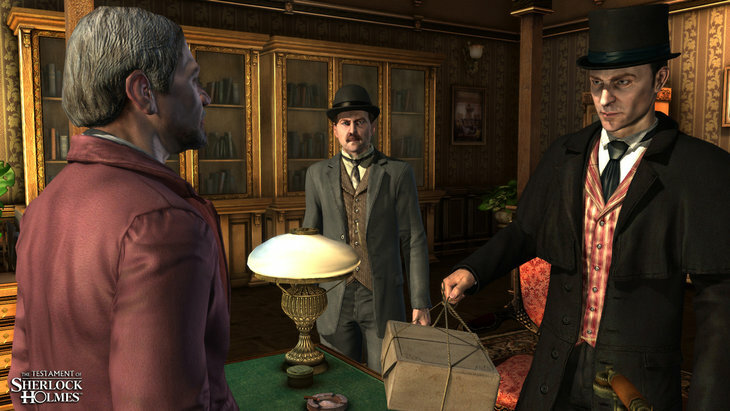 Frogsware has been putting out Sherlock Holmes games since 2002, and while the games generally tend to receive mixed responses, they do an outstanding job of portraying Holmes’s character. The latest and eighth entry in the franchise, The Testament of Sherlock Holmes, is a title that attempts to delve deeper into the mind our favorite detective and showcase one of Holmes’s most interesting adventures. The Testament of Sherlock Holmes is presented as Sherlock’s greatest challenge yet. In it, Sherlock is set in the middle of a crime case that seems to put his own credibility in question. The further the story progresses, the more doubtful everyone is of Holmes’s ways and motives. Even Holmes’s most trustworthy companion, Dr. Watson, begins to doubt what his incredibly gifted partner’s real goals are. 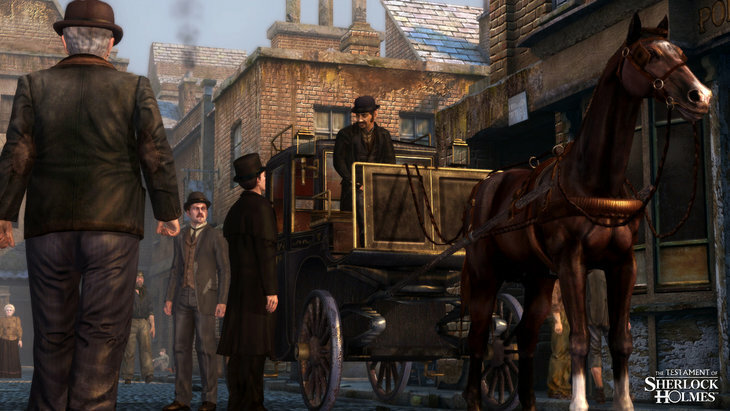 By choosing such an interesting scenario, the game is able to further explore Holmes’s personality and bring us a side of him we've never seen before. Previous games in the series tended to shy away from depicting blood and gore. This entry however is easily the darkest and most brutal yet. At one point you will be examining a severed thumb cut out off a mutated corpse. In another, you will be dissecting a body to get evidence out a dead man’s internal organs. The game has extremely graphic scenes and that is something that adds to the realism that Frogsware is trying to portray in the series. As a point and click adventure game you will be facing quite a ton of different puzzles. That’s not necessarily a good thing. While a lot of those puzzles are interesting and incredibly clever, they’re usually pretty difficult to piece together. Some even go to the extent of having you decipher ciphers with very few hints as to how you’re supposed to approach them. The game doesn't really present you with any guidance, and you will often be left scratching your head for a while wondering what you are supposed to do next. This can be infuriating as you progress through the game due to some of the puzzles dragging on for way too long. In addition to solving puzzles, you will be required to collect evidence for the case at hand. Evidence range from things you find on the crime scene to testimonials received from characters you come across in the game. You will have to combine those different sources and often think outside the box to come up with the proper conclusion. This is definitely one of the game’s high points as figuring out exactly what went on in the case is incredibly satisfying. The visuals of the game have received a massive update compared its predecessors. Character models appear much more detailed and the game pays particular attention to lighting and particle effects. It’s not to say that the visuals are anything groundbreaking, but they are definitely heads and shoulders above anything Frogsware previously put out. As for the voice acting, while some of the game's characters feel a bit off, both Holmes and Dr.Watson seem spot on every time they speak. The voice actors for those two characters do an amazing job of bringing fiction to life.On the other hand the game’s soundtrack is very limited. The track available are pleasant to listen to at first, but you eventually grow tired of hearing the same tracks playing over and over again. 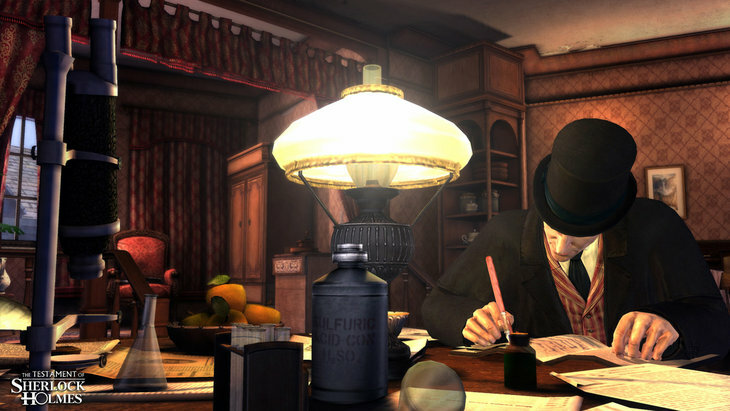 The Testament of Sherlock Holmes is a game that does an outstanding job of portraying Holmes’ character and exploring one of his darkest cases yet. However, some incredibly frustrating puzzling, a limited soundtrack, and some iffy voice acting tend to hinder the game from reaching its optimal potential . Despite those issues, The Testament of Sherlock Holmes is a highly enjoyable experience provided you are able to withstand the massive amount of difficult puzzles headed your way. Excellent work! I rated 5/5. Thanks! Glad you found it useful .